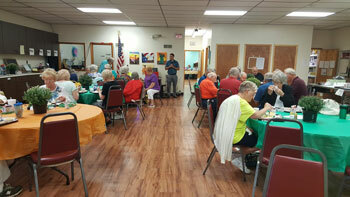 On Monday, I attended an open house at the West Newton Center for Active Adults. We are fortunate to have vibrant places in our community for seniors to gather and participate in a variety of activities. With remnants of Tropical Depression Florence hitting much of Pennsylvania this week, state and national officials remind residents that September is National Preparedness month, an opportunity to prepare ourselves and our families now and throughout the year. As part of the awareness month, the Federal Emergency Management Agency (FEMA) is urging residents to make and practice a preparedness plan, learn life-saving skills, check your insurance coverage and save for an emergency. Residents should adapt their plans for all types of emergencies and disasters – residential fires, tornadoes, hurricanes, flooding, snowstorms, earthquakes, natural gas leaks and other events involving evacuations. Tips and checklists are available online here. The Pennsylvania Treasury announced the launch of a new state website dedicated to reuniting military decorations that have been reported as unclaimed property with their rightful owners. The new search function allows users to search their names, or the name of a loved one, to see if Treasury is holding a military decoration as unclaimed property. In addition, users can look through a photo gallery featuring some of the decorations that are in the unclaimed property vault, as well as medals that have been returned to their rightful owners. Military decorations are often reported to Treasury as contents held in a safe deposit box that has gone unclaimed or abandoned. Since 2017, Treasury has returned 58 service decorations, some of which have been in Treasury’s custody for decades, including Purple Hearts, to their rightful owners. Treasury continues to search for the owners of over 500 unclaimed military awards. To search for unclaimed military decorations, click here. To help farmers implement best management practices (BMPs) to prevent water pollution or purchase conservation equipment, $10 million in tax credits is available through the 2018-19 Resource Enhancement and Protection (REAP) program. REAP is designed for agricultural producers who install BMPs or make equipment purchases that reduce nutrient and sediment runoff, which improves Pennsylvania’s streams and watersheds. The program is administered by Pennsylvania’s State Conservation Commission. Farmers may receive tax credits of up to $150,000 per agricultural operation for 50 percent to 75 percent of a project’s cost. The most common projects approved are for no-till planting and precision ag equipment, waste storage facilities, conservation plans, Nutrient Management Plans, and protecting animal heavy-use areas like barnyards. Cover crops and riparian stream buffers are also common REAP-eligible practices. REAP can be used in conjunction with other funding sources such as the Environmental Quality Incentive Program (EQIP) or the Chesapeake Bay Program to help install BMPs. For projects that include the proposed purchase of equipment, the equipment must be delivered by June 30, 2019. For projects involving the implementation of structural BMPs, all BMPs and BMP components must be completed by June 30, 2020, to be eligible. REAP applications are accepted on a first-come, first-served basis. For more information, click here.